There are many cartridge heater suppliers to choose from, but Jobco is a stocking cartridge heater supplier for your custom cartridge heater needs. We keep your special heating cartridges in stock to keep you out of trouble during emergency situations. Jobco sells cartridge heaters for many applications: Heating Gasses, Heating Liquids, Food Processing, Plastic Extrusion, Molds & Dies, Medical Equipment, Packaging Equipment, Plastics Molding, Gate Cutters, and Hot Runner Molds. 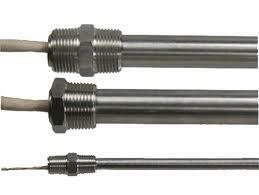 Our cartridge heaters are manufactured to meet extensive quality standards before shipping to you, our customer. These stringent standards are maintained for our stock heating cartridges and our custom heater cartridges. Jobco sells Chromalox cartridge heaters, Dalton split sheath heater cartridges, EZHeat cartridge heaters, Marathon cartridge heaters, Tempco cartridge heaters, Watlow Firerod heating cartridges and many other brands of cartridge heaters. It even provides good heat distribution. 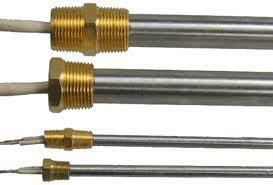 These cartridge heaters have nickel-chromium resistance wire. These are available in standard or metric sizes. It has high dielectric strength and faster heat-up. 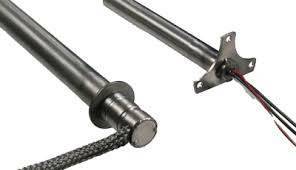 We can ship stock cartridge heaters on the same day, and we can ship a custom cartridge heater on the next day. The standard delivery for a cartridge heater is two weeks. Call Jobco today at 479-424-1300 to order the heating cartridges you need. Standard flange material is stainless steel. Flanges can be round, irregularly shaped, or even as simple as a bead of weld. Contact Jobco for standard and non-standard flange configurations. Provides extra support for leads. Great for applications with lots of flexing.